Yesterday’s USA Today cover story was bannered: “Poll: 57% Don’t See Stimulus Working.” People are so impatient! Today, it’s the Recovery Act’s 6-month birthday. And yesterday, Recovery Act recipients could start signing up so they can report their progress starting October 1st. Maybe then, people will see what is really going on with their money! According to Recovery.gov, as of today there are 25,897 ongoing Recovery Act projects worth a total of $91.1 billion – out of a total of $787 billion authorized to be spent over the next year or so. In an interview with Barry Bosworth of the Brookings Institution, Federal News Radio’s Suzanne Kubota writes that that the transfer payment (e.g., unemployment insurance extension) and tax reduction elements of the bill got up and running quickly and the direct spending programs in the bill are taking a longer time to get monies out. This is no real surprise to government watchers – transfer payments and tax rebates don’t require much in the way of program guidance and are largely check-writing operations! As for the direct payment programs, though, there’s more guidance and reporting. And there are many more players involved. Much of the media has focused on transparency of the funding. This is provided via sites from non-profits, the Recovery Accountability and Transparency Board, individual federal agencies, and individual states. 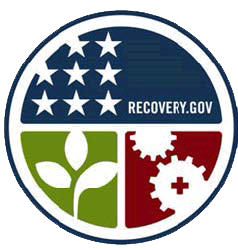 The Council of State Governments has created a Recovery Act website – StateRecovery.org — that aggregates useful information for state officials. The National League of Cities has dedicated a webpage to Recovery Act news, organized by policy areas where dollars are available (e.g., public safety). The Association for Government Accountants has created a Recovery Act webpage for its members who have to administer the funds. Government Executive magazine has created a “Stimulus Checklist” to help feds keep up with what’s going on, along with a series of webinars and forums. And of course, the Office of Management and Budget has a list of its guidance. Do you have a favorite resource? Feel free to add via the “comment” box! “All politics is local,” goes the saying. And that is particularly true when the government says the population will increase by 140 million by 2050. Where will they all live, work, shop, and play? The White House is developing a plan. A little-noticed memo on place-based policies for the Fiscal Year 2011 budget – co-signed by the heads of OMB, the Domestic Policy Council, National Economic Council and Office of Urban Affairs – promotes interagency coordination in place-based planning and spending. The memo directs agencies in their budget preparation process for FY 2011 (to be submitted to OMB by September 14) to “identify the top three to five programs or initiatives that . . . show special promise for achieving better outcomes, whether a place-based approach is well established or is newly proposed.” It also asks agencies to identify associated measurable outcomes, indicators of progress, and options for improving coordination and effectiveness. Use measurable goals. Clear, measurable and carefully evaluated goals should guide investment and regulation. Goals should be transparent and widely and effectively shared in areas such as economic competitiveness, environmental sustainability, community health and access, and safety and security. Be regional in approach. Many important challenges demand a regional approach. Federal investments should promote planning and collaboration across jurisdictional boundaries.